Don’t worry, you’re not alone. Many of us have experienced this and it happens because we switch to auto-pilot. We know the journey, we do it almost everyday and because of this routine our mind shifts into another gear. We drift into thinking about the day, what has happened before, what lies ahead and before you know it, the journey is over. As dangerous as this sounds we still manage the commute without crashing but the trouble is, when we are in the workplace we can still be in the auto pilot mode, caught up in the traffic of our minds. Whether you’re a business owner or employee it’s easy to get into that auto-pilot mode. With so many things to juggle and fires to fight you can lose sight of what you are trying to achieve and you can lose that passion and joy for what you are doing. In business this can also mean that you drop the ball and start to lose some of your competitive edge. 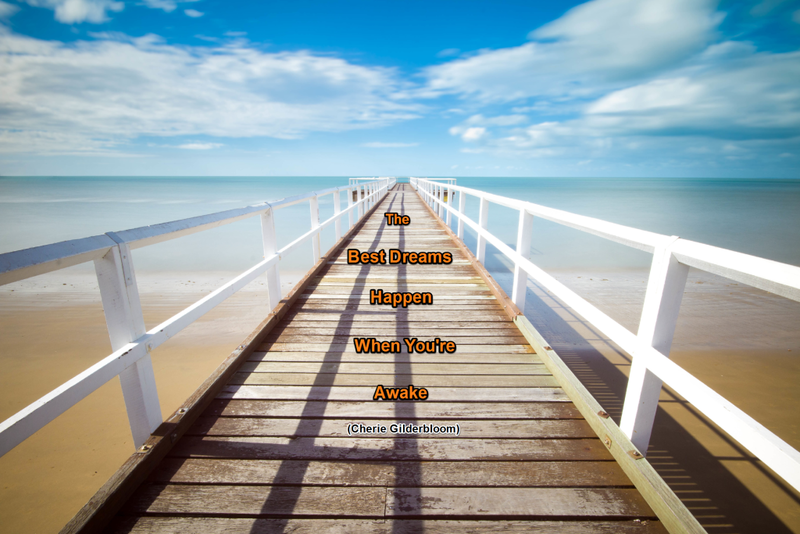 So what can you do to get out of auto-pilot mode and be more awake in your business? In practical philosophy there is great insight about the 5 levels of awareness – deep sleep, dreaming sleep, waking sleep, fully awake and higher consciousness. In business where we want and need to be is fully awake and higher consciousness but where many of us actually are is ‘waking sleep.’ This is when we are engaged in the various activities of the business but not alive to the opportunities or solutions that may be around us. Have a think about your business for a few minutes? Can you honestly say that you are always focused, that you seize the day like you should or that you don’t procrastinate and delay important decisions? If we are honest with ourselves we may dream of a brighter future but having the awareness and foresight to make positive changes and be awake in our business can be hindered by our own self-doubt and reticence to take action. To overcome this there are practical pieces of advice that you can follow. The first is about acceptance. It should come as no surprise that there are challenges in business and things that you don’t want to do but need to do. These are the things that drag you down and keep you de-motivated. The sooner you can accept that there will be burdens in your work life, the sooner you can take action to change things. This may mean more delegation or hiring new staff to lighten the load. Acceptance is about acknowledging the issues and then taking action to address them. The next piece of advice is about enjoyment. We’ve all heard the phrase ‘that when you do a job you enjoy you will never have to work another day in your life.’ As clichéd as that may sound it wouldn’t be a cliché if that wasn’t true. Taking joy in what you do and eliciting enjoyment from your role is something that will resonate with others around you. Remind yourself why you took the job you are doing or set up the business that you’re running and reacquaint yourself with your goals. Being positive will rub off on the people around you and it will motivate you to do things better. Sharing your enjoyment with others will help you to cultivate this quality and sharing your knowledge will give you a greater sense of fulfilment in your career. Closely linked to enjoyment is enthusiasm. Having enthusiasm for your business will take you closer to your goals and bring others on board with your vision. Your enthusiasm will affect your staff and your clients and can make a huge difference to the way you do business. To maintain that enthusiasm you sometimes need to take stock of your situation and be mindful of your work/life balance. Don’t let enthusiasm turn into stress and make sure that you maintain perspective on the things that affect your business. What do you think? Do you have any other tips for staying awake in your business that you would like to share? It would be great to hear from you.